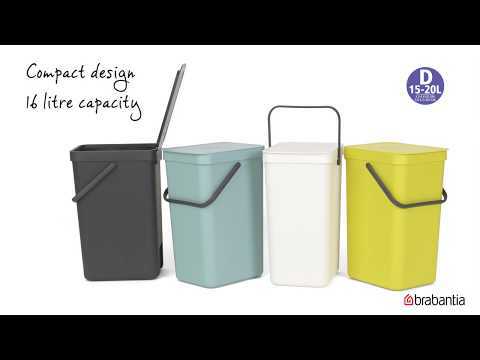 Brabantia's Sort & Go bins are a clever little storage solution for your home. Whilst they look super stylish by themselves, either popped on your worksurface or floor, they have a super little addition - A wall fixing. This means that you can store it out of the way when you don't need it, and simply pick it off and carry it away when the bin is full. This genius system comes in four different colours, and three different sizes, ensuring you can make the perfect combination for your needs.